When home is like a resort, you can live on vacation every day of the year. 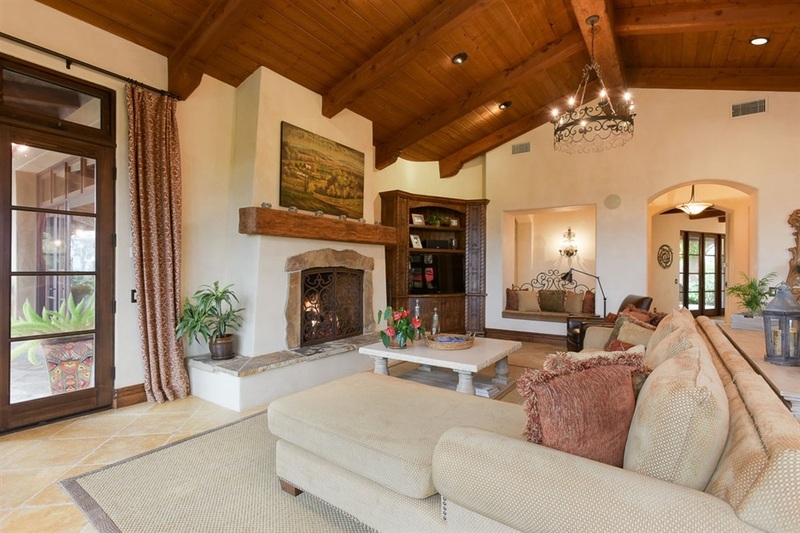 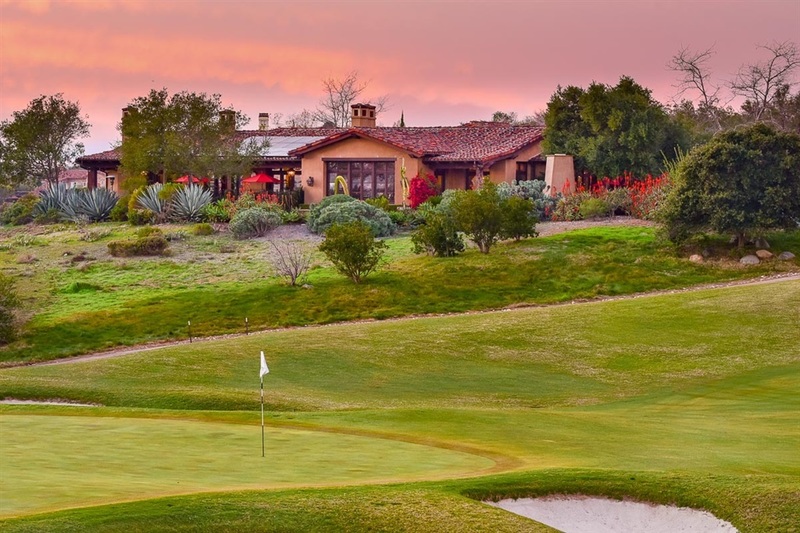 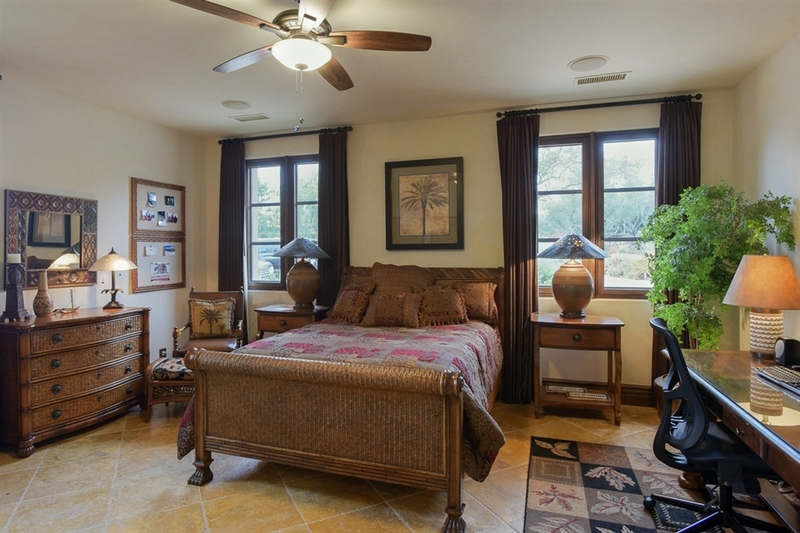 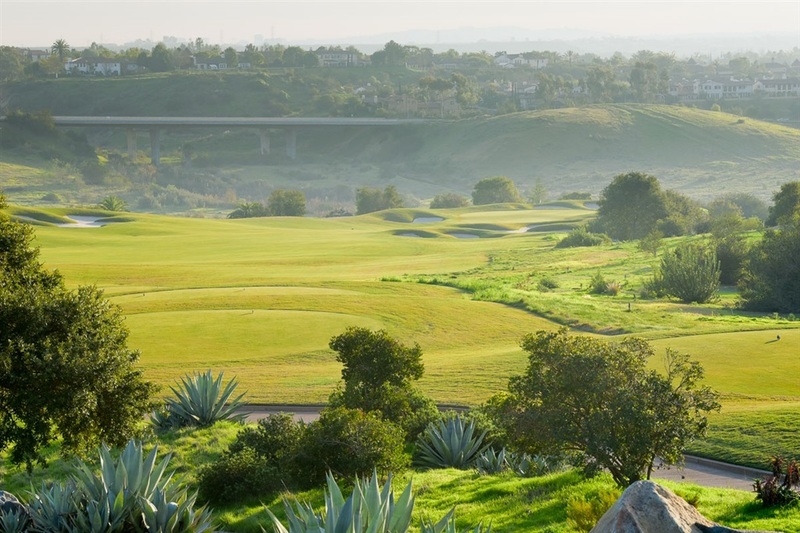 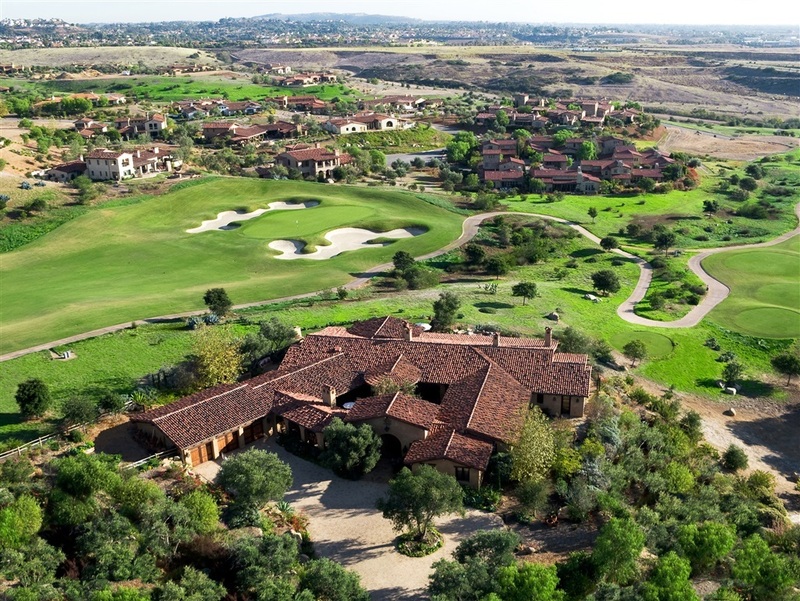 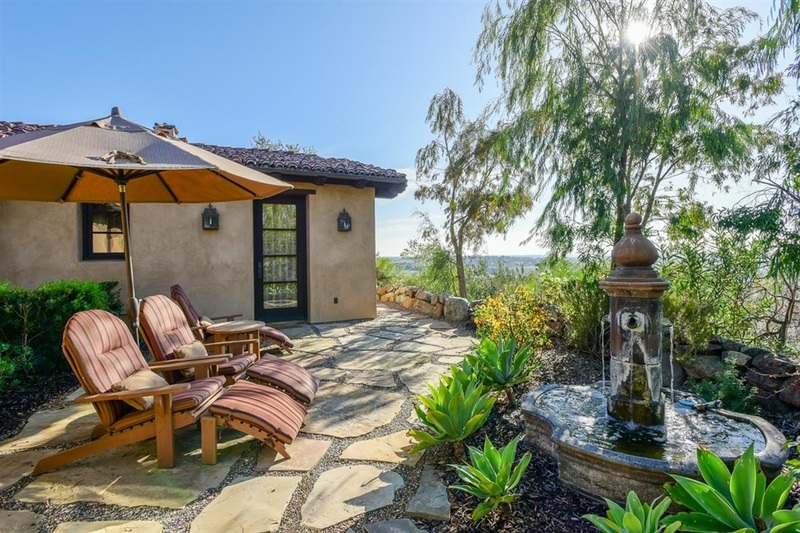 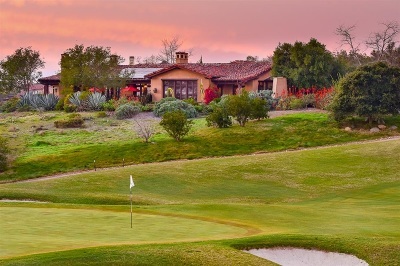 Welcome to your lifelong escape, where the finest homesite in Santaluz welcomes 280-degree panoramic views of the 11th and 12th holes, hot air balloons, the ocean, evening lights and rolling hills from nearly every window. 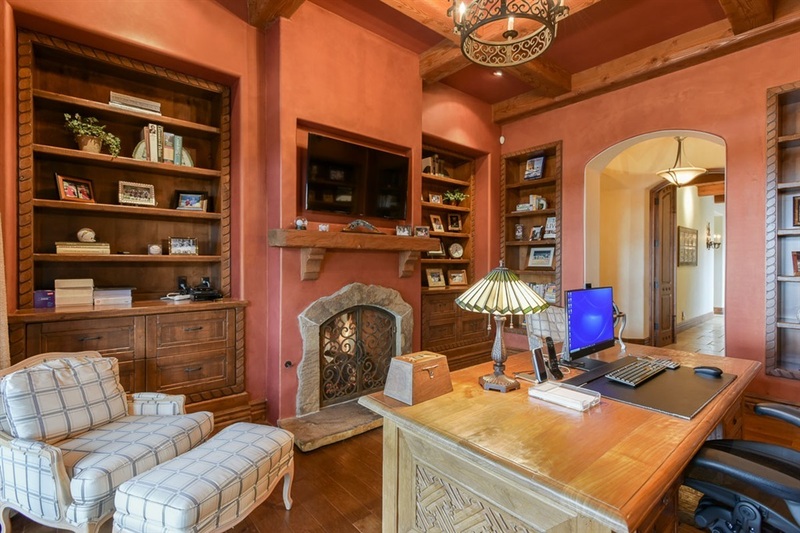 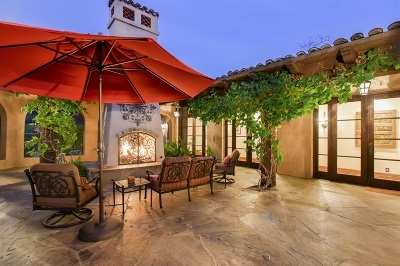 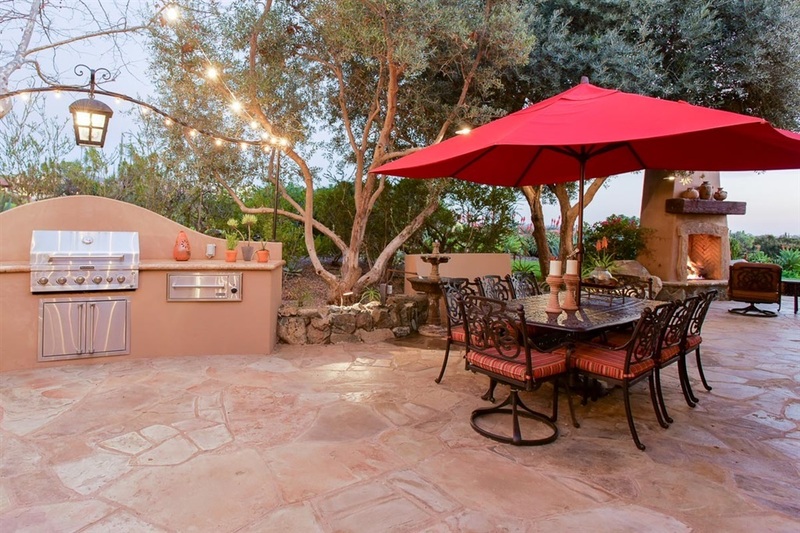 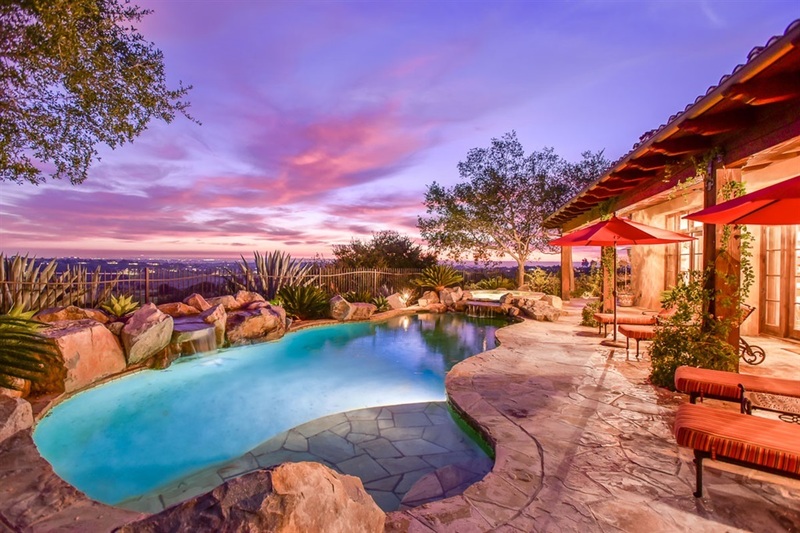 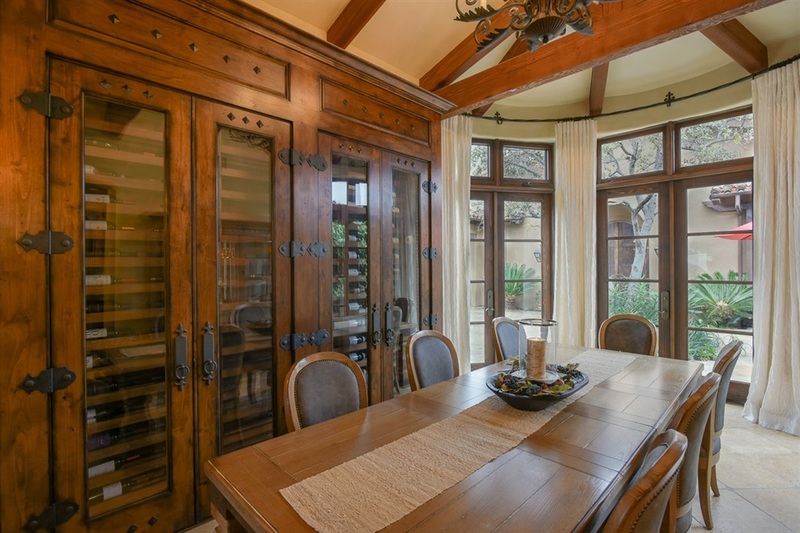 Located at the end of a cul-de-sac, the estate's flag-style grounds cover .74 acres, allowing generous space for a gated driveway, courtyards and patios, fireplaces, a pool and spa, and a built-in BBQ., Five bedrooms and 5.5 baths are revealed in a meticulously crafted single-level floorplan of approx. 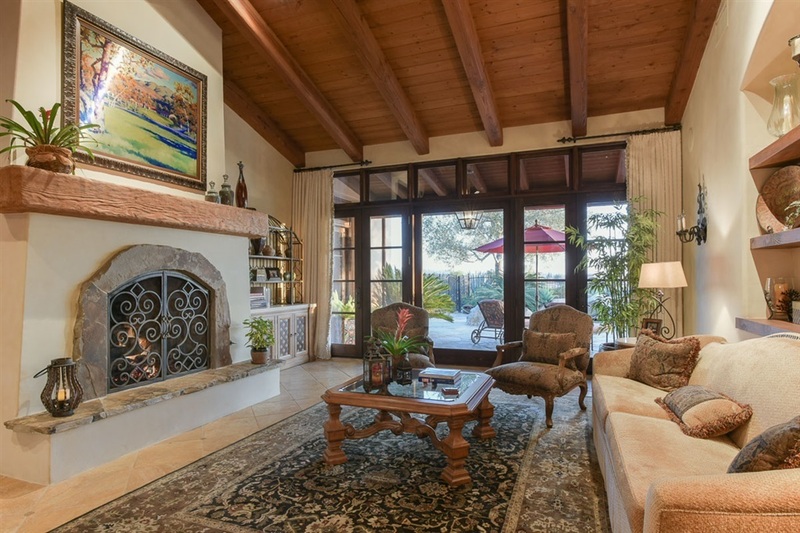 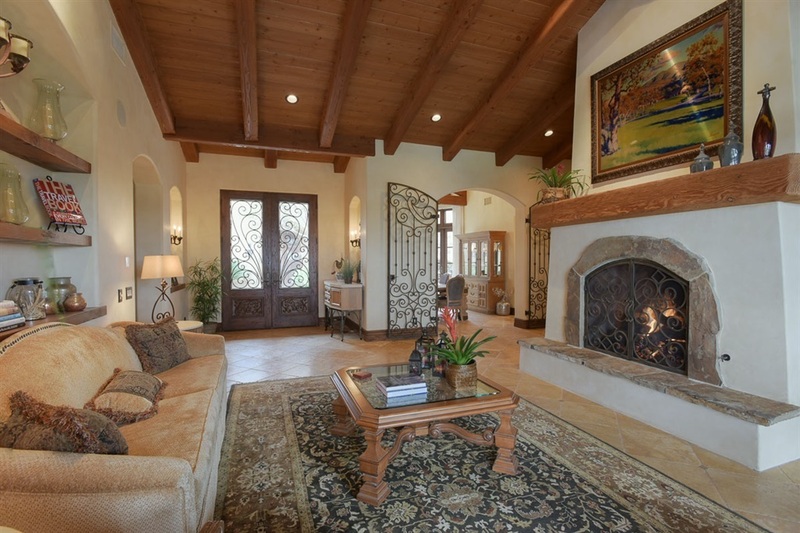 6,500 s.f., including a master suite that pampers homeowners with a private loggia, fireplace and ocean views. 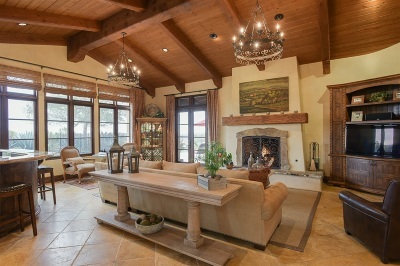 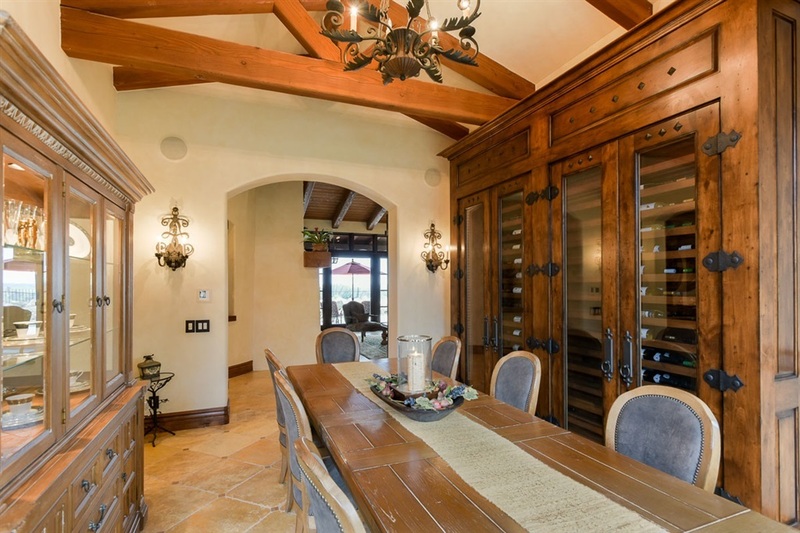 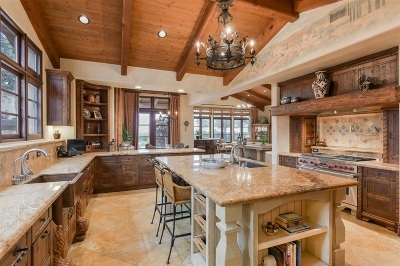 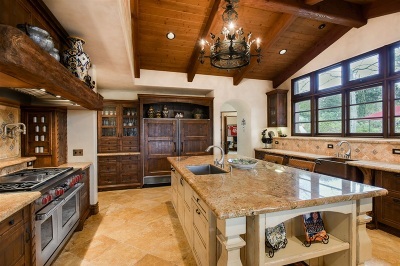 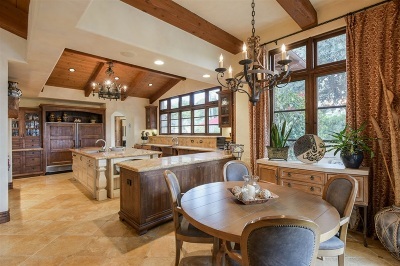 Vaulted open-beam wood ceilings soar over hallways and living areas, adding drama to formal living and dining rooms, a great room with walk-in wet bar, and a phenomenal kitchen with island, granite countertops, custom cabinetry, walk-in pantry and a hammered-copper farmhouse sink. New upgrades are led by distinctive interior hardware, high-end appliances, elegant window treatments, chandeliers, fresh paint and stucco, pool equipment, a bocci ball court, custom landscaping with refurbished outdoor lighting, and a new water filtration system.